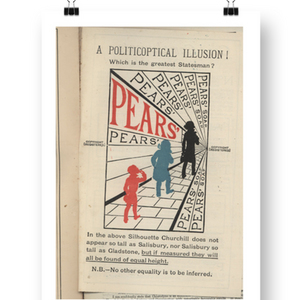 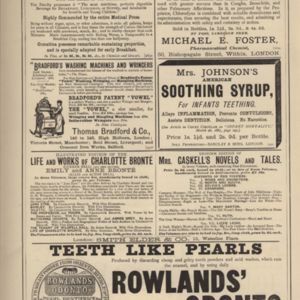 Pears Soap Advertisement in The Woman's World. 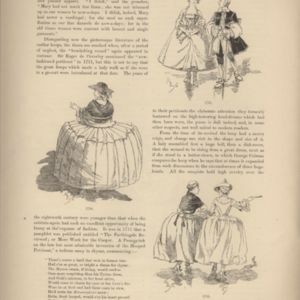 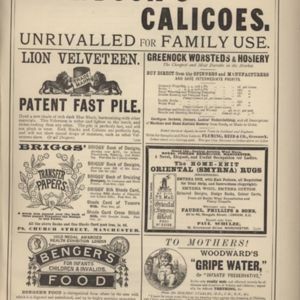 Second illustrated page of the article "A Treatise on Hoops" in Woman's World, December 1887 issue. 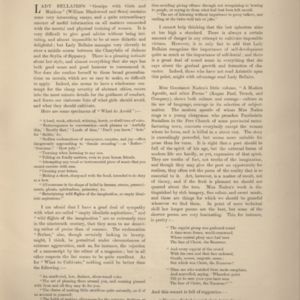 The article is attributed to "S. William Beck", the illustrations, captioned with the years 1735, 1710, and 1735 from top to bottom, are unattributed. 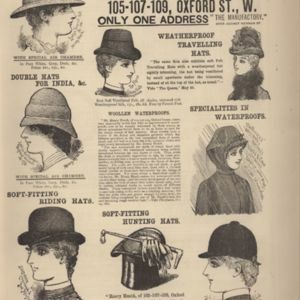 Seventh illustrated page of the article "December Fashions" in Woman's World, December 1887 issue. 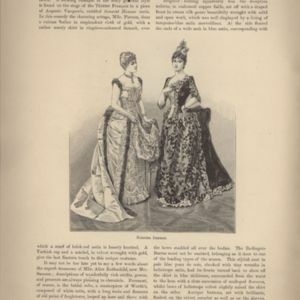 The article is attributed to "Mrs. Johnstone" and the illustration, captioned "Evening Dresses" is unattributed. 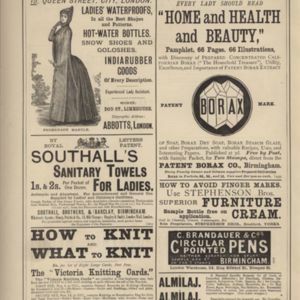 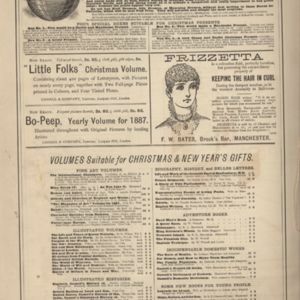 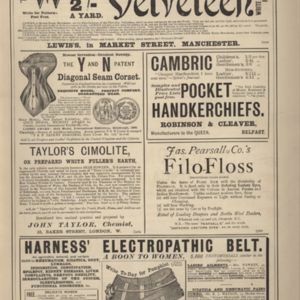 Illustrated first page of the final article in Woman's World, December 1887 issue, "December Fashions". 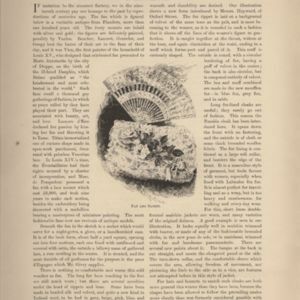 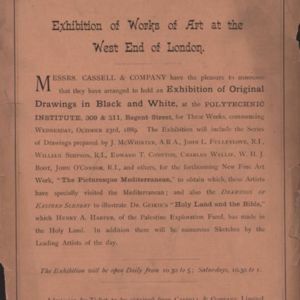 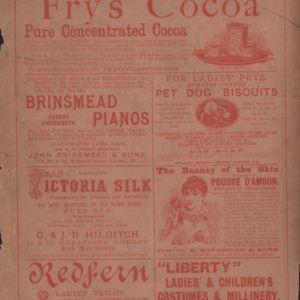 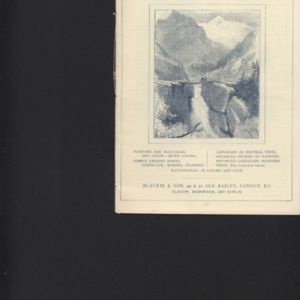 The article is attributed to "Mrs. Johnstone" and the illustration of a fan and sachet is unattributed. 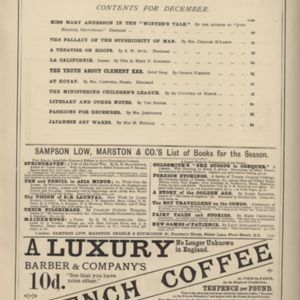 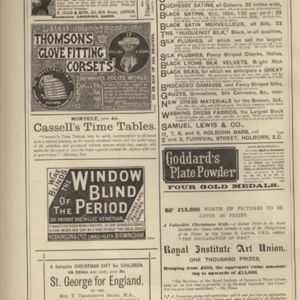 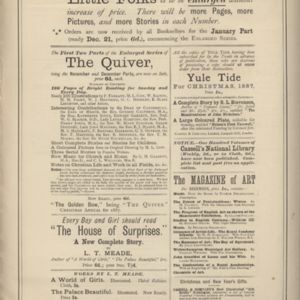 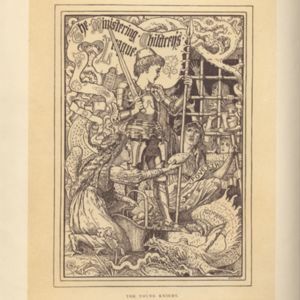 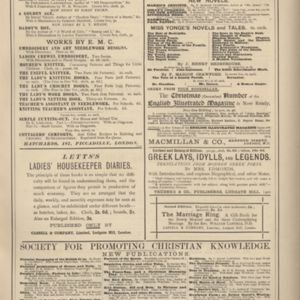 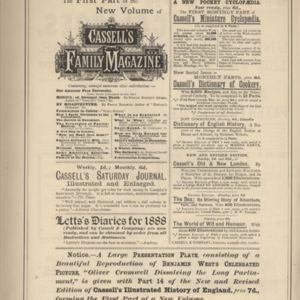 First page of Oscar Wilde's contribution to December 1887 issue of Woman's World, titled "Literary and Other Notes", attributed to "The Editor"